Let’s be real: most scrubs look like pajamas. And even more unfortunate, they are almost never as comfortable as a nice set of pjs. Most likely, your scrubs resemble the uniform that prisoners wear, but in a shade of blue or black rather than the infamous orange jumpsuit. For women working in a medical profession, finding a set of scrubs that gives you the coverage you need is an additional challenge. 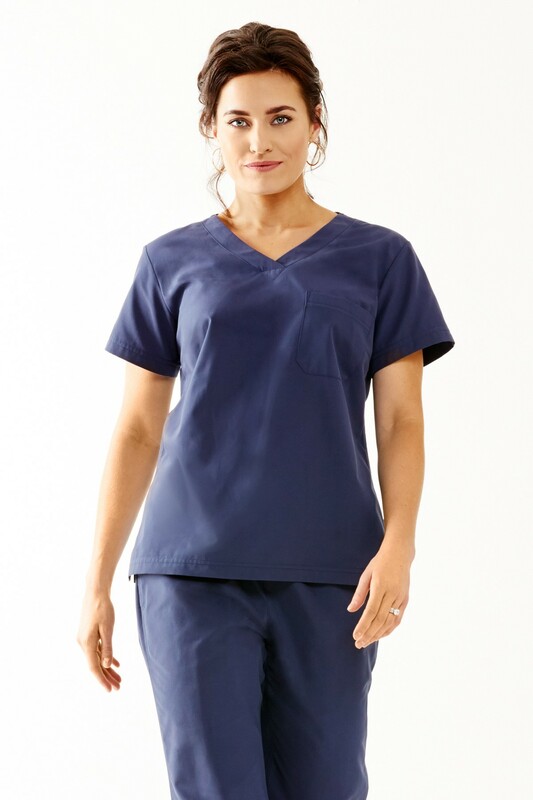 Since most scrubs are unisex, they tend to be boxy, shapeless, and ill-fitting for a woman’s body: a deep v-neck scrub tops that exposes you every time you bend over, yet isn’t long enough to keep from riding up in the back. When you lift your arms, the sleeves gape open, again exposing you from the side. The good news is that you don’t need to settle for these manly scrub tops anymore. Medelita has designed a scrub top specifically for women, one that is both flattering and functional. This entry was posted in Medical Scrubs, Women's Scrubs and tagged Scrubs, women's scrub top, women's scrubs on April 27, 2016 by Ariel Jacoby.